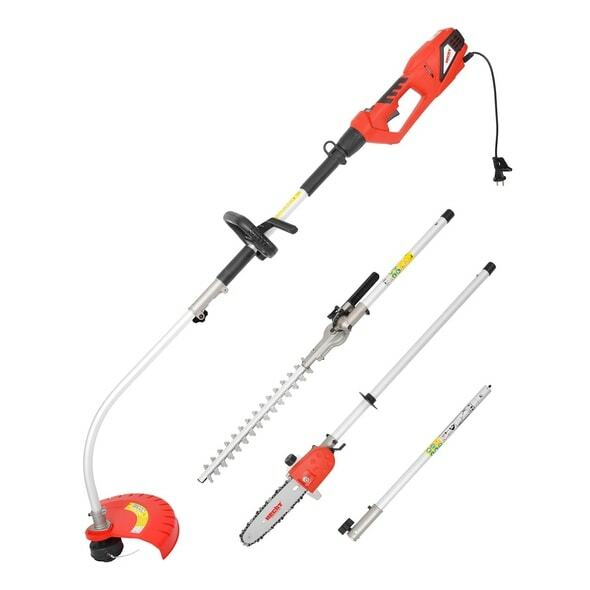 HECHT 690 is multifunctional electric tool 3 in 1 – hedge trimmer/ pruning chainsaw/ brush cutter. 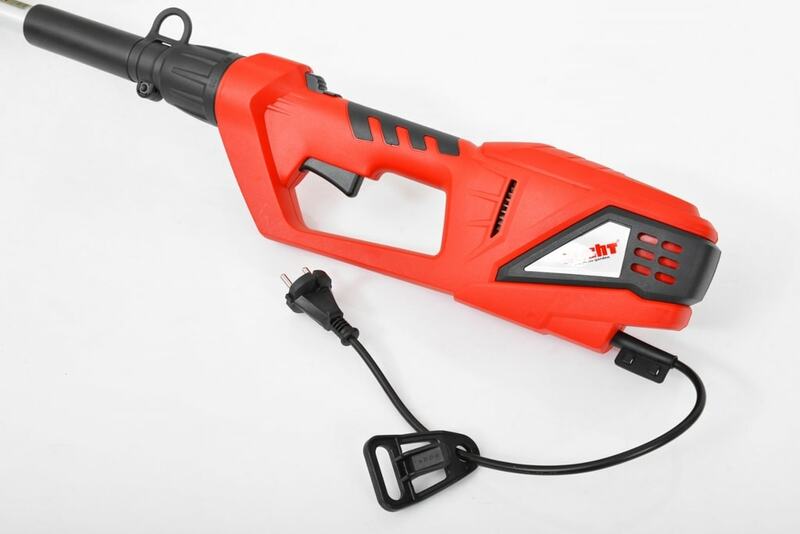 The power supply is from a standard 230V/50Hz socket, power input is 900W. 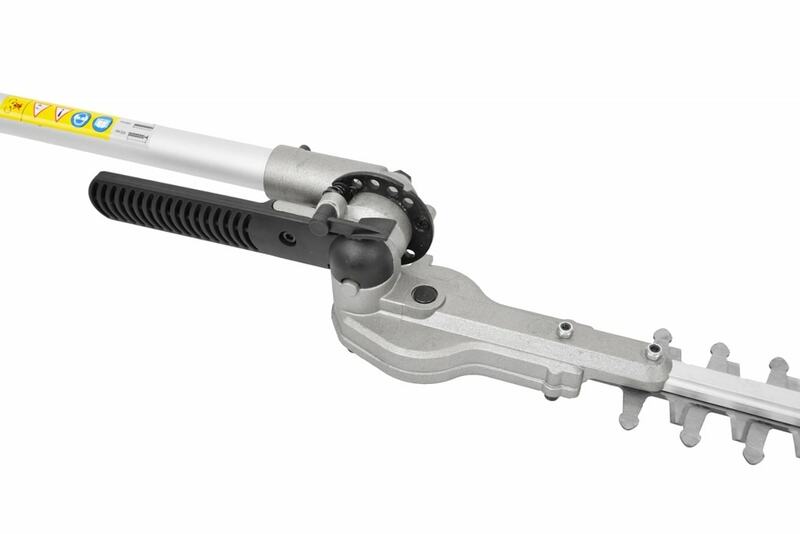 Replacement of adapter is very easy, each tool is mounted on a shaft that can be easily connected and fixed in the connection under the lower handle on a drive unit. 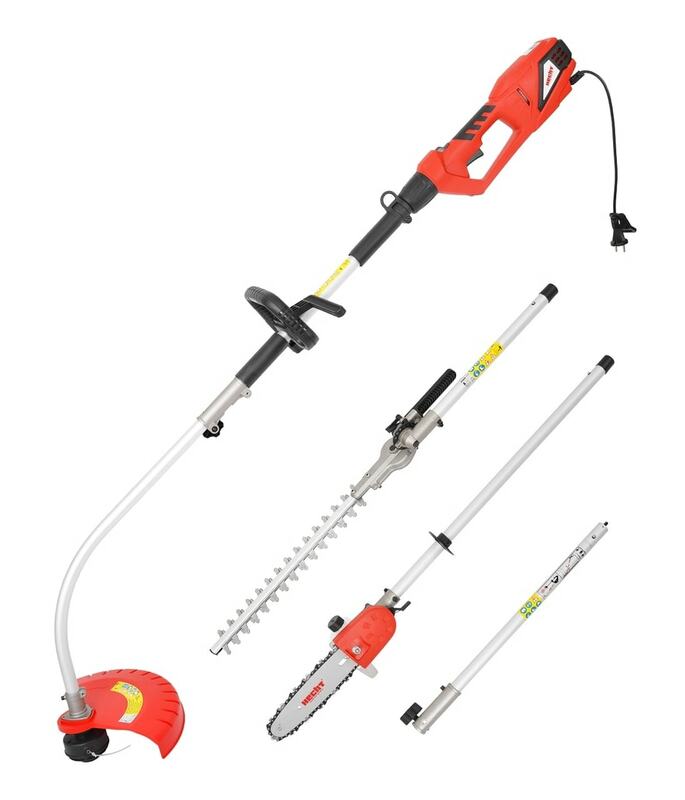 This makes possible to use the machine as a 36 cm hedge trimmer, a 23 cm chainsaw or a 41 cm long brush cutter with length of 41 cm. 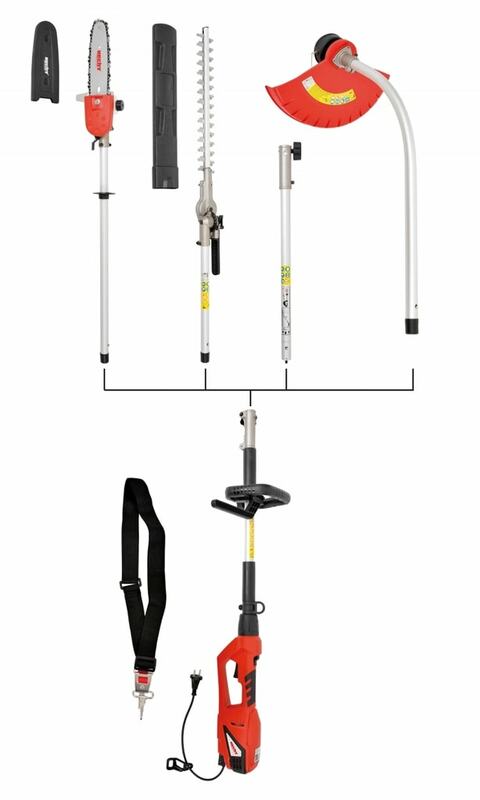 As a part of delivery is supplied also 50 cm long extendable tube. 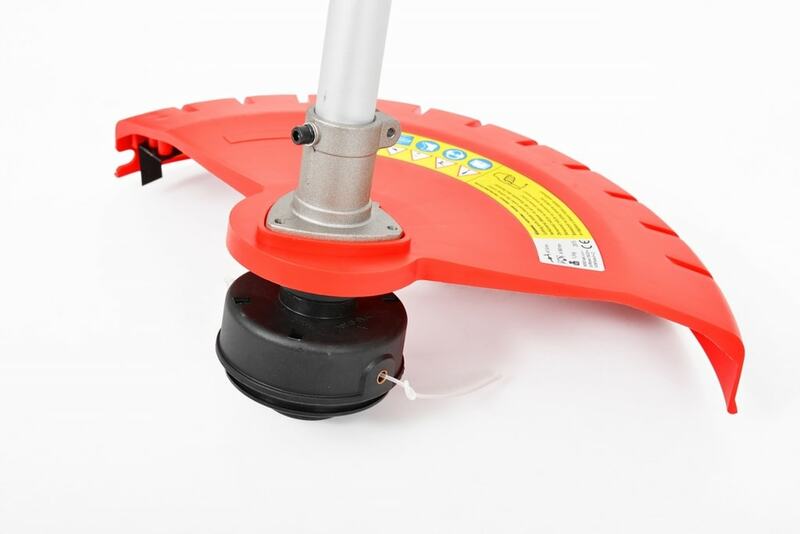 The weight of a unit without equipment is 2,5 kg, the unloaded speed is 6900 rpm. 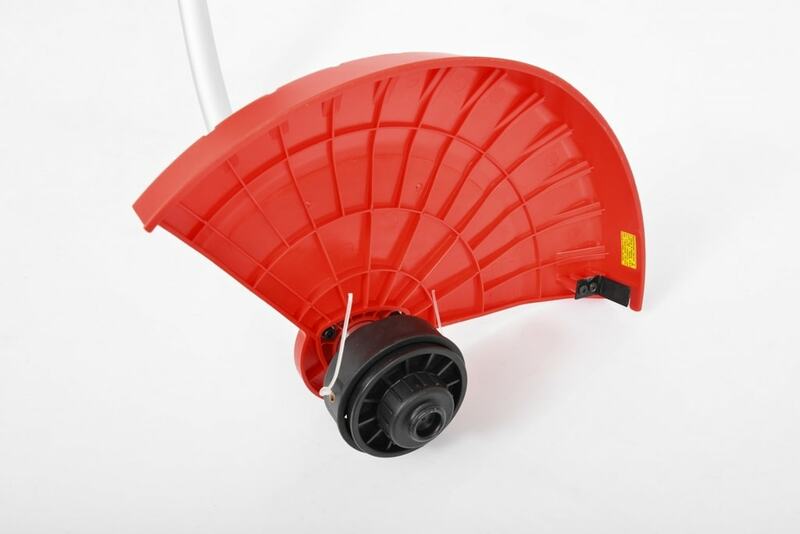 The brush cutter has working width 360 mm, its weight is 1,3 kg. Max. tool speed reaches 7200 rpm. A suitable cutting line has an average 1,6 mm. 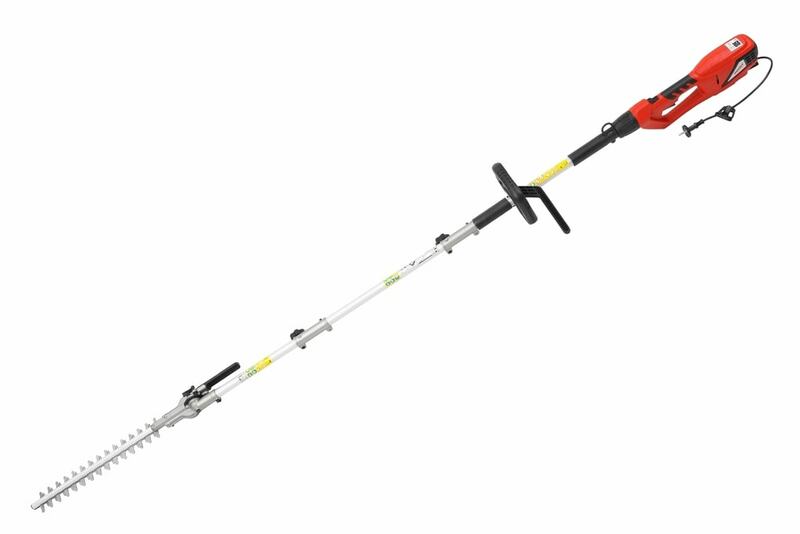 The hedge trimmer tool weighs 2,2 kg and unloaded speed is 1000 cut/min. A working length is 410 mm, a max. 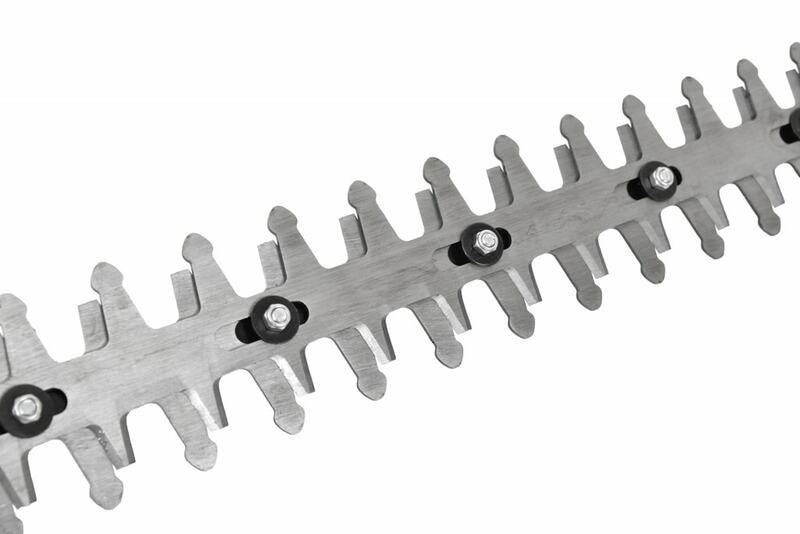 diameter of cut branches is 20 mm. 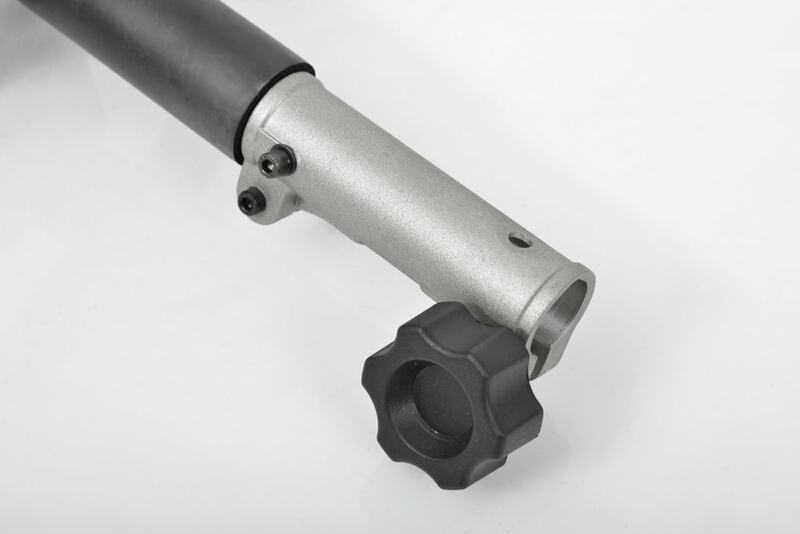 The length of the shaft from the end to the tool adapter connection is 40 cm. The length from the adapter connection to the end of a knife is 70 cm. 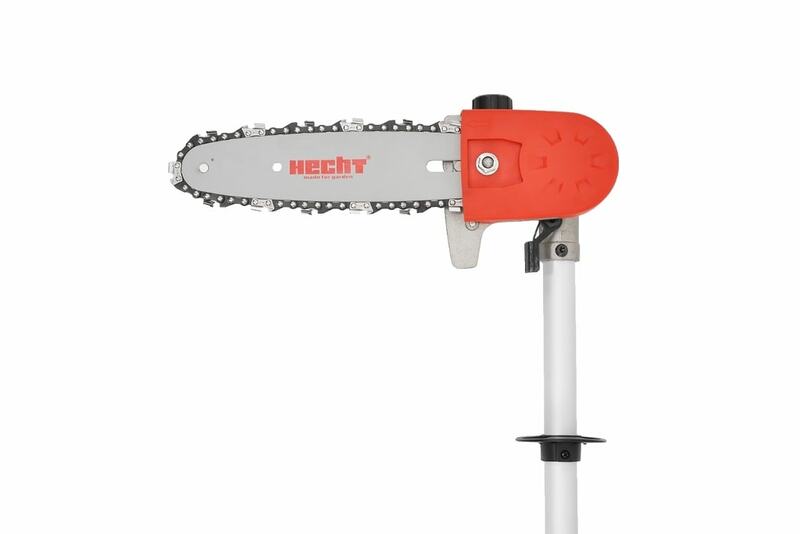 The chainsaw tool weighs 1,9 kg. 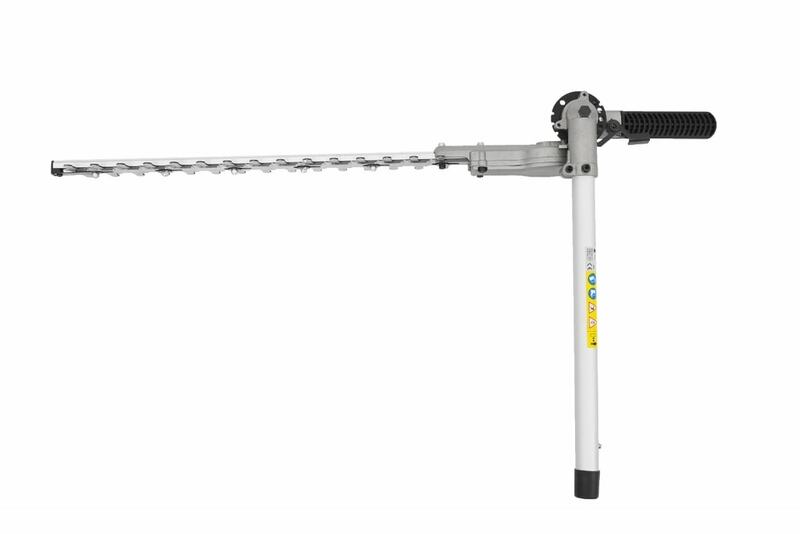 It is equipped with 3230 mm long chain bar, chain speed at maximum power is 13 m/s, spacing 3/8“, 36 links, width 1,3 mm. 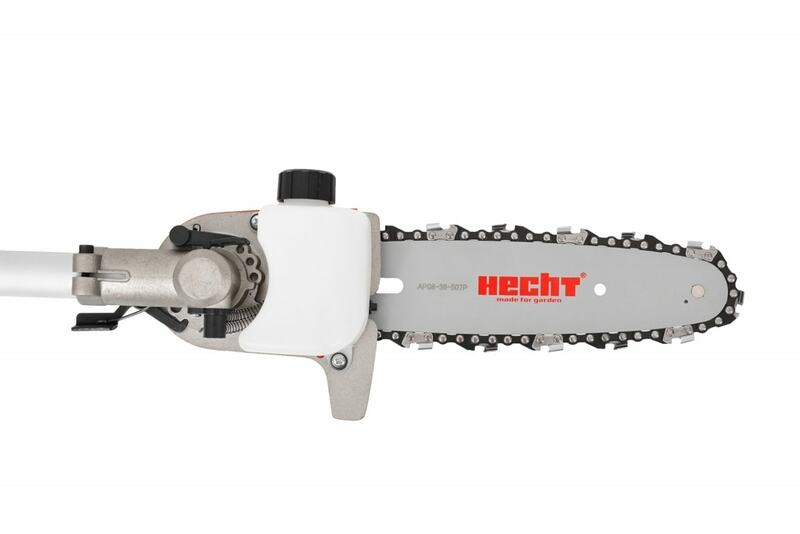 The chainsaw has an oil tank and is equipped with automatic chain lubrication. 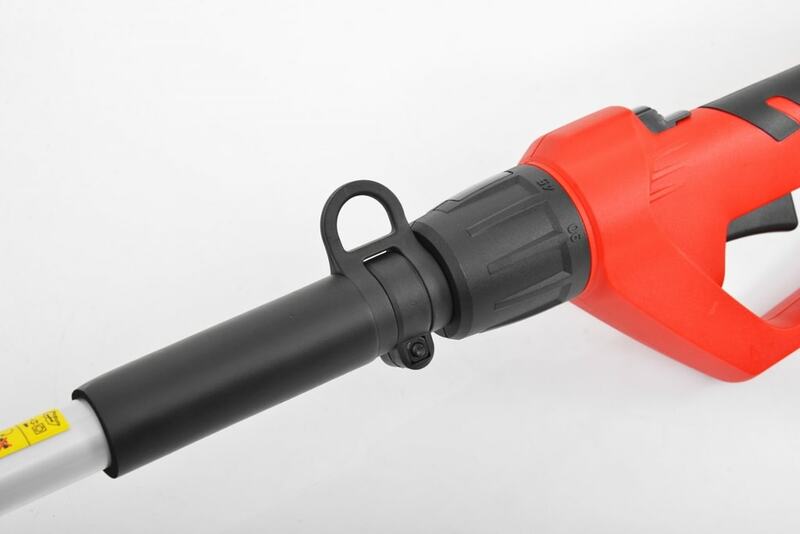 The length of the shaft from the end to the tool adapter connection is 70 cm, a length of the working tool from adapter connection is 35 cm. 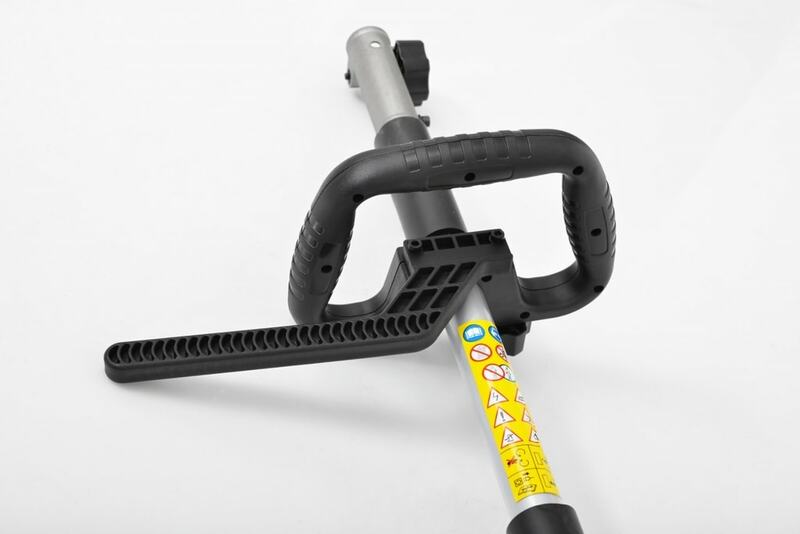 Drive unit has 50cm shaft to connect the cutting equipment, it can be prolonged with supplied extendable tube up to 1 meter. If you connect to the extendable tube f.e. 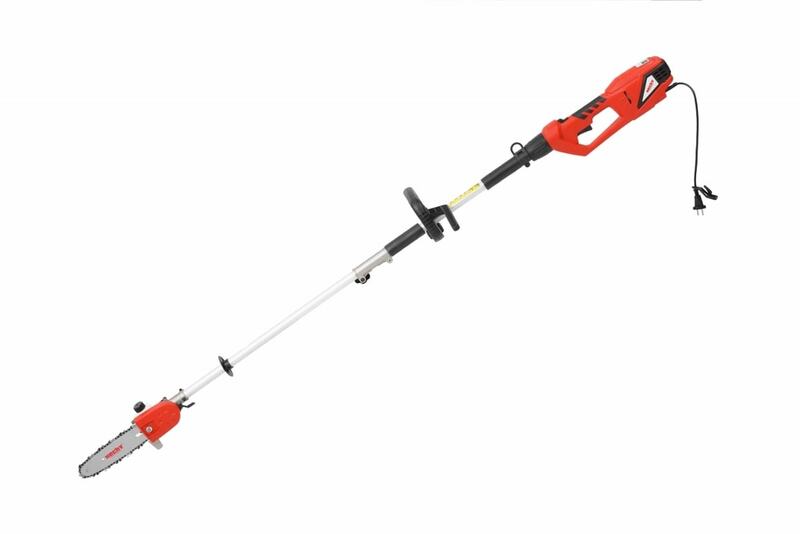 hedge trimmer, then the total length of the tube is 140 cm. 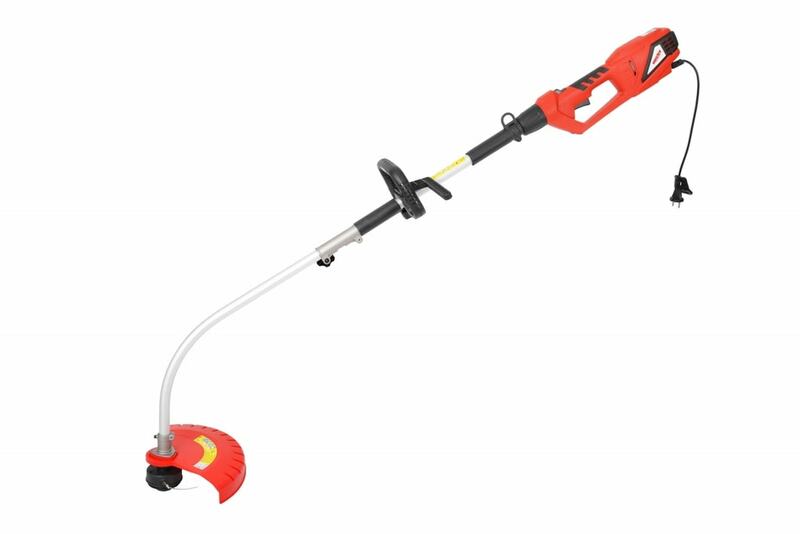 Thus, the normal high operator can comfortably trim hedges in height around 250 cm. 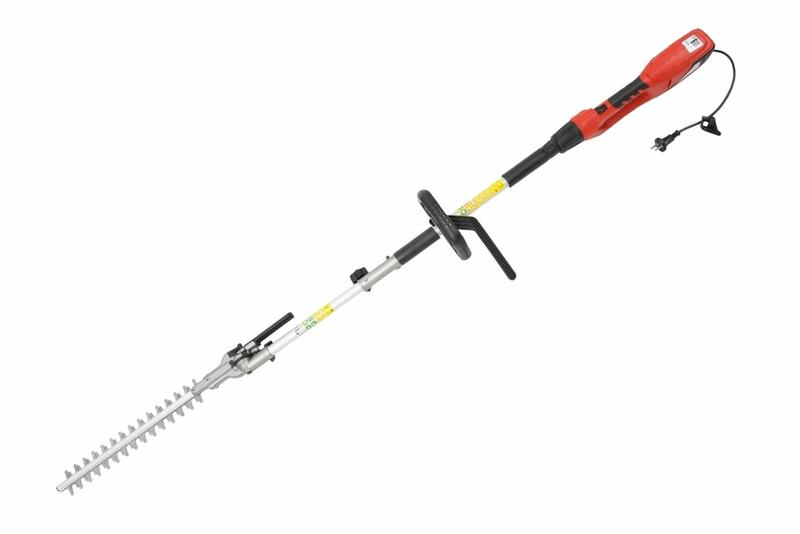 You can cut safely with pruning pole saw up to height of 3 m.
Safety features, such as a safety switch or cable strain relief are commonplace.